“This is my design.” Since Hannibal began, those words have been the shibboleth of Will Graham’s imagination, his entryway into the minds and worlds of the killers he pursues. Will’s job—and his singular gift—is reconstructing not the actions, movements, or even motivations of his quarry, but the design. Few of the murderers with whom Will deals do what they do out of anything so mundane as greed, lust, or revenge: they are instead driven to lovingly reshape the world—and human beings—to conform with their visions of how things should be. They plant their victims to sow gardens of earthly delight; they erect spiritual totem poles and mandalas from lowly human forms; they transform ordinary people into angels. In their madness and megalomania, they are as gods, re-imagining reality through intelligent design. I’m thinking about all of this, this week, because “Primavera”—which takes place mostly in a church—features a lot of talk about the nature of God, the function of prayer, and the divine plans that make things happen one way when, in another world, they might have gone another. I am thinking about all of this because Hannibal is a show in which reality itself is shifting, even malleable, one where revelations frequently come in the form of visions and we are each the subjective creators of our own worlds. And I am thinking about all of this because, in any work of fiction, discussions of the nature of God are really a discussion about the nature of the fiction itself, an interrogation of the will of its creator and an exploration into the rules of its universe. As characters within Hannibal search for meaning, we search for meaning within Hannibal, and all of us see through the glass but darkly. I’ll be honest: it’s feeling like a lot to tackle in a TV review, and I’m doubtful we’ll even get to all of it, let alone arrive at any answers. But I want to put it all out there on the table, because I believe these themes are going to be important to this season of Hannibal. It’s mostly just a series of hunches at the moment, but—as a character says this week—success is the result of inspiration, and revelation is the development of an image, one that begins blurred, and only later—we hope—becomes clear. Let’s begin, this week, with Abigail Hobbs, who starts out blurry and only later comes into tragic focus. We are all savvy and cynical pop culture consumers, so I doubt many viewers were fooled by the misdirection in “Primavera,” or terribly surprised by the “twist” that comes near the end. 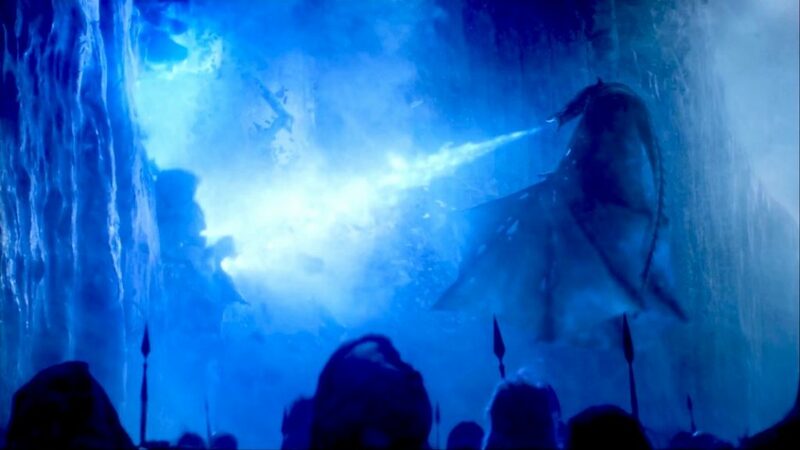 Cliffhangers inevitably turn us all into oddsmakers, and most of us probably had Abigail Hobbs down as a 100 to 1 long shot to survive last season’s bloody finale. For me, her reappearance here inspired just a fleeting moment of groaning disbelief, followed almost immediately by the comforting assumption that the only place she could possibly have survived was in Will Graham’s imagination. The stilted nature of their conversations, the way she stayed at the periphery of—and sometimes disappeared completely from–his interactions with other people, and the completely permeable barrier between dreams and reality in this episode all reinforced this assumption. It felt like Bryan Fuller wasn’t even trying very hard to surprise us. And I don’t think he was: Fuller is not above toying with our perceptions, but it is always done in a playful way that expects us—even compels us—to look for the twist. (Did anyone really think Will had murdered Freddie Lounds last season? Does anyone think we were supposed to believe it for a moment?) I think these sorts of feints are less about actually fooling us, and more about keeping us in the optimum mindset to watch Hannibal: one in which reality is constantly shifting and fluid. So what’s interesting about Abigail in this episode is not the surprise of her death, but what her continued existence in Will’s mind means. 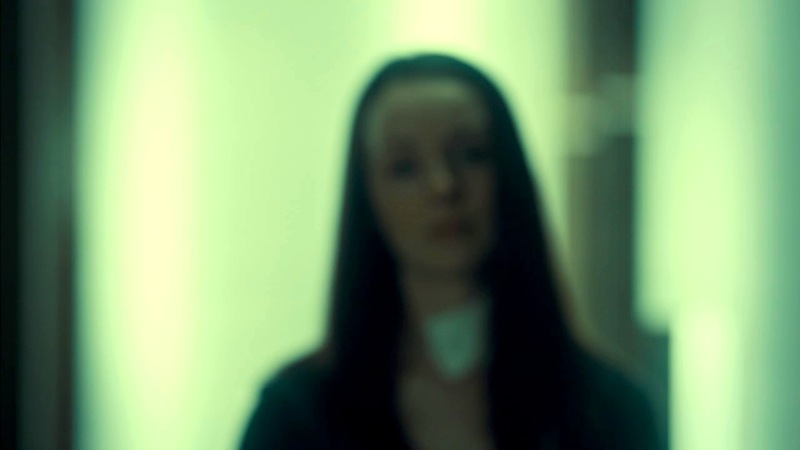 If I ever go back and write about the first two seasons of Hannibal, I’ll have more to say about the actual character of Abigail Hobbs, named for one of the teen-age participants in the Salem Witch Trials who confessed to a covenant with the Devil. (“The Devil told me, if I gave consent, he would do it in my shape,” the real Abigail Hobbs said at her trial. “I didn’t know what else to do, so I just did what he told me,” Hannibal‘s Abigail Hobbs confesses to Will, shortly before her death.) The reluctant accomplice to her father’s crimes, and a surrogate daughter to both Will and Hannibal, she represents both the corruption of innocence and the hope of salvation. For Will, I think, she represented the hope that one can stare into the abyss and come back: she was something good in the world that had been touched by evil, and, if he could have saved her, he might have managed to believe that the universe is not a hopeless place. So it’s fitting that Abigail’s role in “Primavera” is primarily to talk to Will about God, and the nature of the universe. Things might have gone some other way, Abigail argues; if Will had acted differently, no one had to die. “It’s hard to grasp what would have happened, what could have happened, what in some other worlds did happen,” Will says. “Everything that can happen, happens. It has to end well, and it has to end badly. It has to end every way it can. This is the way it ended for us.” This is not theology, of course: this is chaos theory. Every moment of choice has infinite outcomes, spinning off into infinite universes: whatever can happen does happen, somewhere. “Hope some of the other worlds are easier on me,” Abigail says, and—since this is really Will talking to himself—this is his thin hope as well. In some other world, things might have worked out better for Abigail. In some other world, he might have saved her. But that happier world is not this world. Finally, I think it’s important to note that, in a very real way, the show frames all of this so that Hannibal is the God of this world. Last week we talked a little about how Season Three has shifted its locale to Hannibal’s territory: he is no longer a specter haunting our world, we are in his world. 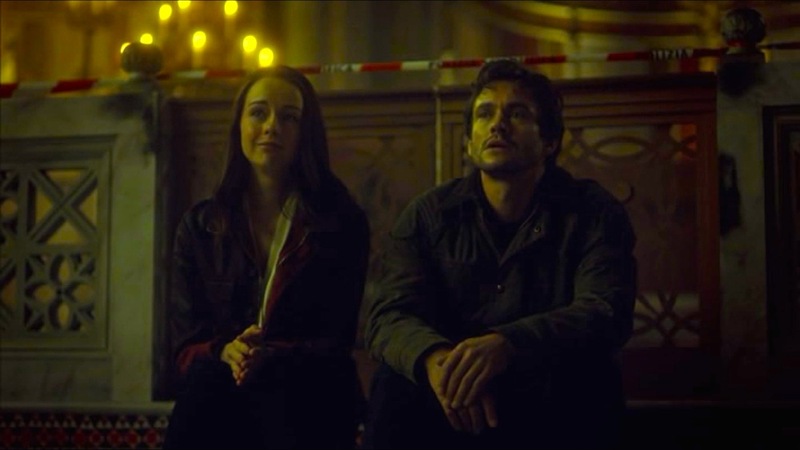 In “Antipasto,” I said it felt like we were inside Hannibal’s “mind palace,” but this week we are literally inside it: the Normal Chapel, as Hannibal once explained to Will, is the foyer of his mind palace. Will’s gift has always been to enter the minds of killers, but now he is taking that to new levels, coming inside Hannibal Lecter’s mind and encountering his heart in its purest, most monstrous form. (From the broken heart Will left Hannibal emerges the stag: no longer the majestic creature of past hallucinations, it is now a stunted, ugly thing, with no mind or face but only antlers on awkward limbs.) “Primavera” is Hannibal at its most subjective, to the extent that reality becomes almost a meaningless concept: Will is awakened from one hallucination by Abigail, who is herself only a construct of his imagination. Is any of this really happening? 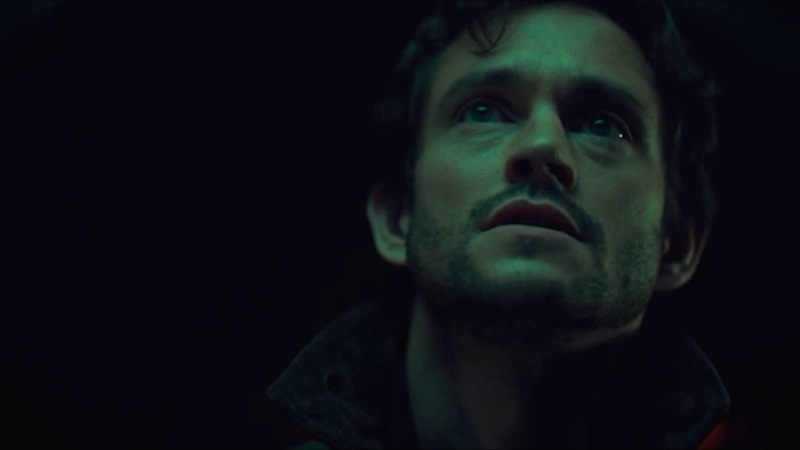 It almost feels as though Will had died in Baltimore, and awakened in an afterlife that was entirely of Hannibal’s construction, and entirely under his control. Just how dark is Hannibal really? Just how nihilistic is its world view? Is Hannibal Lecter an aberration—a demon cast out of Heaven to make his home on Earth—or is he himself a reflection or incarnation of the true nature of God? He occupies the chapel—”He never left,” as Will says—but is he simply the dark reminder of mortality carved into the floor, or is the entire chapel sanctified to him? When we worship at the altar, are we praying for protection from him, or are we praying to him? We don’t have the answers yet. As Abigail says, we don’t have an ending yet: Hannibal Lecter hasn’t given us one. 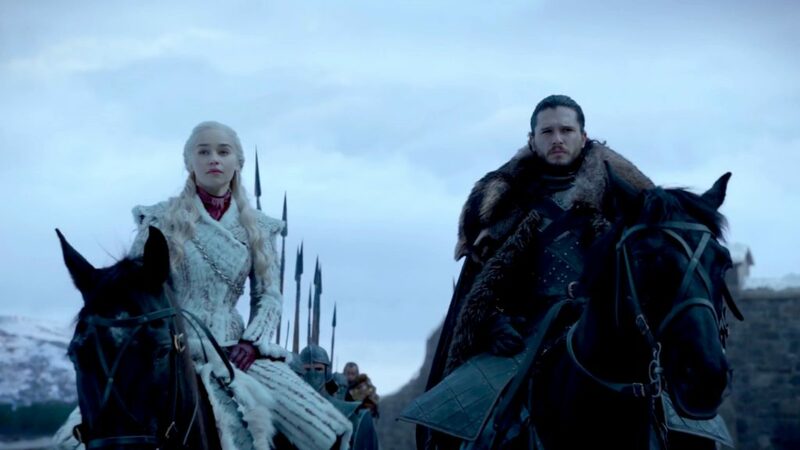 I said last week that I was still figuring out how to write about this show, and this post—which feels, at this moment, like possibly the fuzziest and least focused of my career—should be proof of that. Kindly view it less as a finished essay, and more as a stumbling attempt to at least feel my way towards some of the themes of the season. Hopefully it sparked a few (more coherent) thoughts in your own mind—please share them!—and I’ll attempt to narrow in better on what I’m trying to say going forward. I’ve more or less decided to approach Hannibal the way I approach other shows (like Game of Thrones). Which is to say that, though I’m familiar with the source materials—with the exception of Hannibal Rising, I’ve read all the books and seen all the movies—I want to discuss the show as a stand-alone work, with no spoilers and minimal reference to other versions of the story. It’s fun to compare and contrast—and I think the show occasionally plays with expectations we inherited from other incarnations—but ultimately I think Bryan Fuller’s vision is singular enough to deserve its own consideration and interpretation. Another good line, also from Pazzi: “Those moments when the connections are made, that is my keenest pleasure.” Me too. I’m really hoping to have a few of those moments with this show, sometime soon.